Ivy joined the college in May of 2013 and became a part of the Mulva Library team in the fall of 2018 as the library operations manager. Previously, working in the office of financial aid, she worked closely with students and families guiding them through the financial aid process. She looks forward to continue building relationships across campus as part of the library. As the library operations manager, Ivy oversees daily library operations, room reservations and equipment rentals, as well as the library budget, and e-resources. Additionally, she serves as the administrative assistant to the library director. Outside of St. Norbert, Ivy and her partner, James, enjoy volunteering throughout the community. 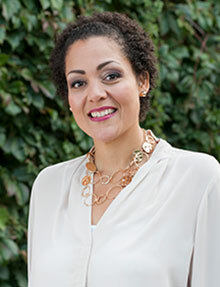 She serves as the co-chair for JOSHUA’s Prison Reform Task Force. Ivy also enjoys spending time with her family, especially her grandson, Emerson. Some of her favorite things are sunshine, coffee, road trips, trying out new restaurants, nature, cute animal videos and laughing at her own bad jokes.